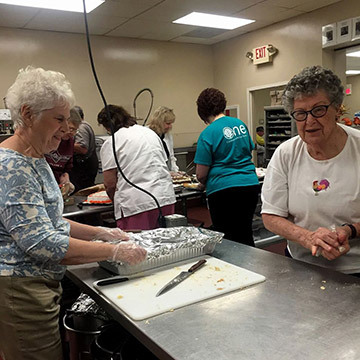 Good People: Celebrating National Volunteer Month - Grace Ridge Retirement Community - Morganton, N.C.
April is National Volunteer Month, a time to celebrate the special people who selflessly serve others throughout the year. As we observe our 30th anniversary at Grace Ridge, we’re planning some exciting events to recognize the many contributions of our volunteers. Our resident volunteers serve in important roles both within Grace Ridge and in the Burke County community. 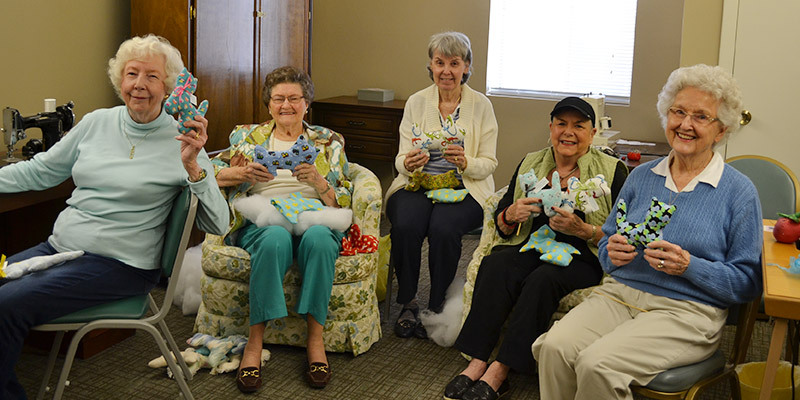 Whether they are serving Meals on Wheels to homebound seniors, crafting homemade cards for our Health Care Center residents, or cutting, sewing and stuffing animals for Carolinas HealthCare BlueRidge, our resident volunteers continually give of their time and talents. “We appreciate everything our volunteers do to make Grace Ridge and our community a better place to live and work,” said Life Enrichment Director Evelyn Beaver, who noted that the 2,000 volunteer hours submitted for 2016 “just touched the iceberg” of the total amount of hours actually donated. To honor the service of our resident volunteers, we’ve planned a special breakfast event on Tuesday, April 11. Because we believe our volunteers deserve some pampering, we’ll follow the breakfast event with a “spa day,” where all our resident volunteers can enjoy hand massages, facials, hand waxing, makeup from Mary Kay and other fun spa services. We expect approximately 40 to 50 of our resident volunteers to participate in the event. Beaver said she’s putting the finishing touches on the plans for the special day. Volunteering is truly a selfless act that brings help and comfort to others. But as our volunteers at Grace Ridge know, those providing the services also reap benefits. 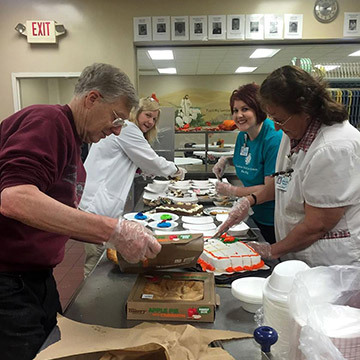 Research has found that the act of volunteering can provide concrete health benefits like improving mental stimulation, lowering stress and fighting depression. Serving as a volunteer also can help you make new friends and socialize, which is even more important as we age. If you’re not an instinctively outgoing person, you may find that volunteering provides the perfect setting for getting to know other people who share similar interests. As a volunteer, you also may find that you gain significant peace of mind in knowing that you’re helping your community. By giving of yourself, you spread a spirit of altruism, courtesy and goodwill that others will reciprocate. Volunteering need not require a huge time commitment; you can find ways to help as it fits your schedule, whether that’s many hours each week or a few hours each month. We appreciate our volunteers at Grace Ridge and welcome this opportunity to thank them for all their hard work as we celebrate “Good Moods. Good Times. Good Life. Since 1987.” We hope you will consider joining us in serving others through volunteerism.